"Snake" was born as Lady Megan Langston of Stratholme. A young noble of Stratholme before its destruction, Snake was the youngest of the Langston line. She had no sisters, but two older brothers. Her father a newly announced "Lord" and mother a baroness, the sister of the now scourge "Death knight" Baron Rivendare. Even before the destrucion, "Snake" was Megan's nickname in the schools she went to, the reason for this nickname is, she was born with a defect, her tounge was deformed, giving it a almost forked appearance and making her speak with a faint "hiss" with her "S" sound. Anyhow.. At the time of the destruction of Stratholme she was eight years old and on her way to school, a mile or so from her family's house. At first she had no idea what was going on, being the coddled noble child. All she knew is there was a loud bang and people running all over the streets, scattering to do who-knows what or get who knows where. Being her oblivious self, she thought it as nothing and continued to her school.. then when she saw a building at the end of the street collapse and a group of spider like creatures known as "Crypt Fiends" emergered from the rubble to slaughter the fleeing innocents. She took this as a sign of trouble and darted into the nearest building. The building was empty and a mess, it seemed like the owners had left in a rush, megan took position beneath a toppled table and hid there for close to a hour until the building would lose its stability and began to collapse. She ran to the nearest window with her little legs, but was not quick enough. She was pinned underneath the frame of the now broken window, and the body of a not so lucky crypt fiend that was on the floor above her. There she laid quietly for five minutes until some of the fiend's acidic poison had leaked off its corpes and into Snakes right eye, burning off her pupil.. forever blinding her vision from that eye. Needless to say she was not able to remain silent from the pain, she screamed and cried out loudly in pain as she was pinned helpless. But luck finally came, a paladin of stratholme was sneaking through the nearby rubble when he heard the nearby yells of pain of a young girl. He scrambled to find the source of the muffled screams. When he found megan, he was amazed to see such a young girl still alive this long into the attack. He did what he thought best, he took her and ran. Luckily, they were near the walls, and the wall had a hole in it big enough for them both to go through. So the paladin took a look in the hole, checking the other side, when he decided it was clear, he pushed the little girl through and and then went through it himself. He brought the child to the kingdom of stormwind's orphanage. She did not stay there very long.. infact she was only there a week before fleeing eleswhere, She wandered avoiding civilization for almost thirteen years until she returned to stormwind to "rejoin" civilization as a freelance adventurer also known as a "Merc." Before you is a well built, young woman probably in her mid-twentys if that. She has short, jet-black hair and semi-Pale skin. Her build is short and musculer, but not the "bulging" muscles you would see in men, But a more trim muscle form, showing she is likely as graceful as she is strong. You also notice her left eye is pure white with a bit of old scarring on it, she is obviously blind out of this eye. ((If)) you see her left arm, you see a expertly done tattoo of a large green snake, its tail starting from the base of her neck and coils around her arm four times its head is opened up on the underside of her wrist upon closer look you see that one of the snakes two fangs is broken and bleeding slightly. 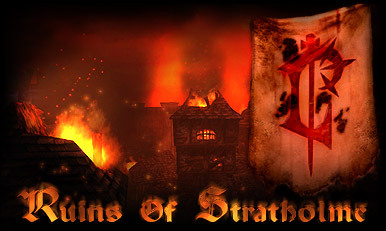 As for her other arm there is a perhaps well done tattoo of the symbol Stratholme, that is before all the scars around it, looking like at one point of her life she tried to manually remove the tattoo. And when ((if)) you see her speak, you notice her tongue has a almost scarred forked appearance, giving her the hiss when she speaks.. You figure this is how she aquired her nickname "Snake."